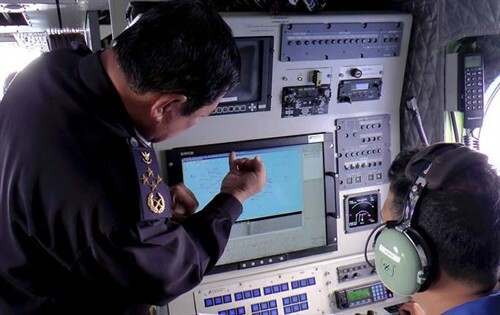 Four aircraft (two from Malaysia and two from Vietnam), equipped with the MSS 6000 Maritime Surveillance System, have been deployed to search the area where the plane last made contact. On Saturday, March 8, a Malaysia Airlines flight carrying 227 passengers and 12 crew was presumed to have crashed off the Vietnamese coast. There were no reports of bad weather and no signs of why the Boeing 777-200ER would have vanished from radar screens about an hour after it took off from Kuala Lumpur for Beijing. A large number of planes and ships from several countries have been deployed to search the area where the plane last made contact, about halfway between Malaysia and the southern tip of Vietnam. Out of these, no less than four aircraft (two from Malaysia and two from Vietnam) are equipped with the MSS 6000 Maritime Surveillance System. These systems have in many earlier cases proved their outstanding capability for supporting Search and Rescue missions, providing an unsurpassed situational awareness using an integrated suite of sensors including the long range Side Looking Airborne Radar (SLAR) and FLIR.